During the 2010 Wintercity Festival in Toronto, these animated shorts, created by NFB animators with Toronto youth, were shown on screens across the city. This clip includes 14 shorts: Hockey Day in Toronto, Winter Fun and Snowman Madness (Avondale Alternative School); Penguin Fort, WinterCity 2010 and Skating Buddies (St. Jane Frances Catholic School); Snow Day! (Alban's Boys and Girls Club); The Best Snow Sculpture (Lakeshore Arts); Battle of the Seasons, Snowman Jam!, Snowball Success, WinterCity Magic, What Friends are For and A WinterCity Dream Come True (Mary Ward Catholic Secondary School). A variation on a fable by Aesop ("The Lion and the Mouse") in which a mouse aids a mighty lion who had once spared his life. This children's film casts real animals – with a big brown bear in the role of the lion, and proves that little friends can prove to be great friends indeed. This short live-action film tells the story of little raccoon who encounters many adventures when he strays from home to explore the world. 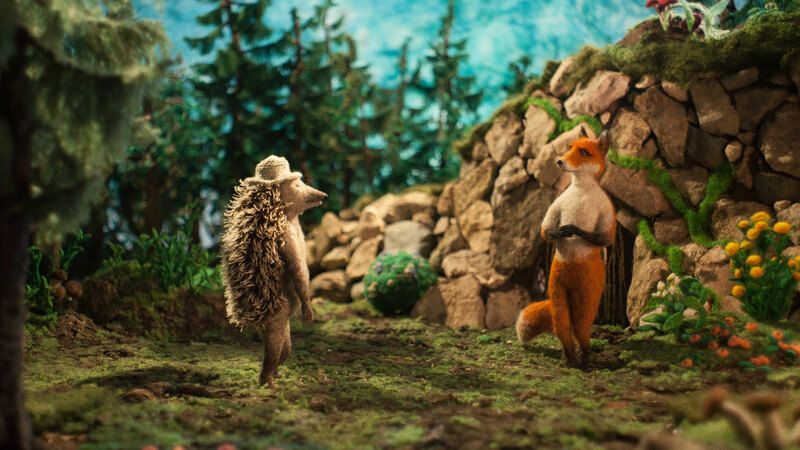 In this children’s film, a white mouse cavorts about the forest, mostly on the back of a bumbling black bear, creating such a stir that other forest creatures (a deer, a tortoise, a hawk and a hound) have to put a stop to it. Animals speak with human voices and “act” out their parts. In this short animation, a polar bear must try his luck finding a job in the big city when the last of his Arctic ice environment disappears. It’s hard fitting into the human world, however, so this bear finds a more creative solution to his predicament. This film was made as part of the 8th edition of the NFB's Hothouse apprenticeship.